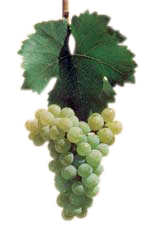 Muscat ottonel is white wine grape variety selected in 1852 in the town of Angers, France by Moro-Rober. Created by the crossing of the varieties Chasselas and Muscat de Somur. During the second half of XIX century it spreads first in Western Europe, than in Central and Eastern Europe. Today, the variety is seen in one vine-growing countries. muscat ottonel Rumelia Muscat ottonelThe variety is known also by the names: Ottonel, Mottonel, Muscateler Ottonel, Mirisavka, Mirislavka, Chasselas Saint Fiakr, Misket Ottonel, Moconel, Muscat de Krakiunel Tirnave, Muscat Oton, Muscat Ottonel Veis, Ottonel Frontinian, Ottonel Muskatali etc. Agro-biological properties – it goes in the group of varieties that ripen in the middle of the season (the grapes ripen around the middle of September). The cluster is small, cylindrical with short stem. 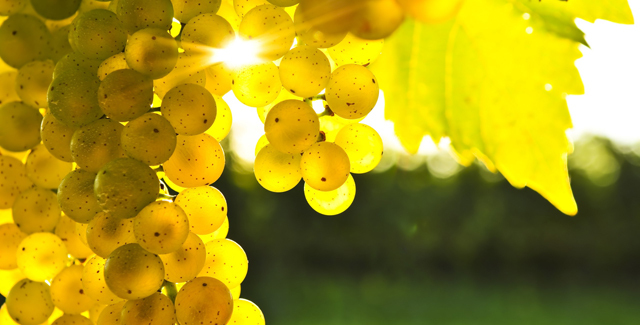 The grain is small, green-yellow in color, juicy, sweet with pleasant, strong Muscat aroma. The vines mostly like pad 41 B.
Ethnological characteristics – when it is ready to be consumed, the sugar content of the grape is 24% and 5,1-8 g/l titrated acids. Stability – the vines show reasonably good stability to low winter temperatures. Yield – the vines are with average growth, with good fertility (the yield varies from 800 to 1 200 kg per decor). The variety is appropriate for the production of dessert wines. The dry, white wines prepared by it are characterized with gentle, Muscat aroma. When it is ready to be consumed, the sugar content of the grape is 24% and titrated acids: 5,1-8 g/l. Due to the small cluster and small grains, it is not very significant as a desert variety, but is really significant as a variety for semi-dry and sweet wines. The white dry wines produced out of that variety are with high quality, intensive aroma, colorful character, reminding of violet and geranium, significant density and moderate freshness. The wines are consumed young. This variety is appropriate for the manufacture of good dessert wines. Early wine and dessert variety: it ripens in the second half of August. It has average growth, average fertility and average yield. The yield varies between 800 to 1200 kg per decare. It develops well on deep, light, humus-carbonate soils on hill terrains. It sustains dry periods, cold and grey rottening. The cluster is small (61 to 105 g), cylindrical-conical to compressed. The grains are average in size, spherical, green-yellow in color, sometimes with rusty spots. The skin is thin, stringy. The pulp is juicy, pleasant in taste with strong Muscat taste.